The United States says all eligible young children separated from their families have been reunited with their parents. The families were separated as a result of the country's "zero-tolerance" immigration policy. As of Thursday morning, 57 children under the age of five had been reunited with their parents, the Trump administration said in a statement. The administration said another 46 children under the age of five remain separated from their families because of safety concerns and other issues. Between May and June of this year, about 2,300 children were separated from their families at the United States' border with Mexico. The zero-tolerance policy required adults to be sent to the custody of the U.S. Marshals Service. Children traveling with them were sent to centers run by the Department of Health and Human Services. The families are mostly from Central American countries. They crossed through Mexico to reach the U.S. border. On June 20, Trump signed an executive order to end the practice. 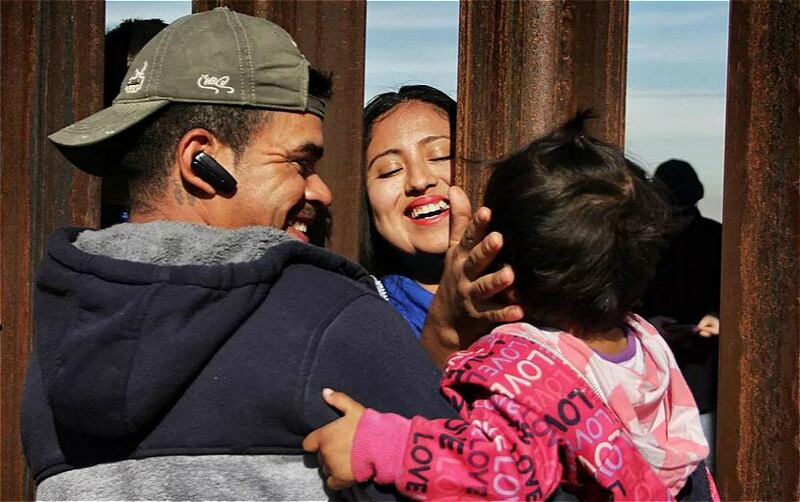 The order came after many news reports showed emotional images of young children at the border crying for their parents. The Trump administration was under a federal court order to reunite all of the more than 100 children under the age of five with their separated families. The order came as a result of a lawsuit filed by the American Civil Liberties Union, or ACLU. ACLU lawyers said Thursday, "If in fact 57 children have been reunited because of the lawsuit, we could not be more happy for those families. But make no mistake about it: the government missed the deadline even for these 57 children." The court-ordered deadline was July 10. Federal officials had difficulty trying to meet the tight, two-week deadline set by the federal judge. Officials said current systems were not set up to reunify parents with their children. They were set up to deal with children who cross the border illegally without family. Government officials say 46 of the young children were not eligible to be reunited with their parents. They said some of their parents had already been deported. Nine parents were being kept for other offenses. One parent could not be found. In other cases, officials said the adults had criminal histories, including child cruelty and human smuggling. The U.S. Health and Human Services Department has been charged with care for the children. The Homeland Security Department oversees detention of adult immigrants. And the Justice Department manages the immigration courts. The Trump administration faces a second deadline on July 26. They are to reunite more than 2,000 older children with their families. He has been charged with extortion and abusing his powers. An executive order is a directive from the President to other officials in the executive branch. 5.They were set up to deal with children who cross the border illegally without family. The President said the agreement would allow other vital problems to be dealt with. 6.But make no mistake about it: the government missed the deadline even for these 57 children." If you don't improve your behaviour, you'll be punished, make no mistake about it. She seems very quiet, but make no mistake about it, she has a terrible temper!